Are you a publisher who wants to monetise your website or app via display ads? Optimising publisher revenues is harder than ever – SSPs, DSPs, Display, Mobile, Video, etc. Publishers are overwhelmed by the amount of technologies and providers they must work with and optimise against, in order to maximize revenues in today’s programmatic environment. Using a simple but effective supply side platform will connects you to the entire programmatic ecosystem, so you don’t need to. Your SSP platform should optimise your billions of impressions for publishers with the best yield. No surprise, many publishers are using specialist SSP platforms in Programmatic advertising as it is the largest growing segment in online advertising today. Choose SSP that offers viewability metrics. Viewability will determine whether an impression was actually seen by the user. Such metric can be added to your reports. It is absolutely crucial to make sure that SSP you chose is integrated with the best real-time technology scanners to protect yourself from substandard or malicious ads. Do they partner with companies such as GeoEdge and TheMediaTrust to ensure that your ad quality standards are high? Look for SSP that is merged with an ad server and supports different protocols (programmatic direct, open auctions, etc.) Does it offer Header bidding? which is an advanced programmatic solution for sellers and mobile app developers that increases yield by making premium inventory available to multiple ad exchange buyers, at the same time. Look for a SSP platform that manages multiple ad network partners under one roof. The dashboard must be also easy to use and navigate. Choose flexible SSP, the one that incorporates the type of ads that your online publishing would most likely need. Go for SSP that offers a variety of ad formats, such as video ad, banners, native ads, interstitial ads and so on! This will allow you to experiment and see what works and what not! Another important criteria is real-time data! With your SSP, you must be able to collect raw data, aggregate it and use it for yield optimisation. This data would be the basis for building smart algorithms that will drive your campaign. Does the SSP offers real time customer support? by phone, email? Can you have access to their latest customer satisfaction survey? Do they have other happy publisher clients in the country where you operate? The below is a list of the best Supply Side Platforms that can help you set up, manage and monetise your visits via Display ads. You do not need more than one, you need only one. if you are new start small with a test or trail before engaging on a long term contract. Your initial goal should be to select an initial top 5 ssp platforms and then review them against your unique selection criteria taking insights from the above tips or other industry professional advice. It is important you take your time to review your options or hire a consultant to review and present you the best options, before devoting your time to fully think only on monetisation. Contact Us if you need a consultant to review and present the best option for your business. ONE by AOL Publisher is a simple, unified programmatic solution designed to help publishers maximize monetization across every format and channel. ONE by AOL: Ad Server provides publishers with advanced ad management and serving capabilities that span the entire workflow of the digital marketing landscape. Seamlessly integrate display, video, mobile and rich media ads, with sales management and business analytics. ONE by AOL: Display MP is a supply-side platform and exchange. It is integrated with ONE by AOL and the industry’s leading demand side platform. Monetise audiences by managing and boosting demand across programmatic channels. Maximize the value of every impression with AOL Header Bidding Solution, including both a container solution and supercharged bidder. Advark allows website owners to fully monetize their video and website traffic and helps advertisers to access their target audience across hundreds of websites. Advertising across desktop and mobile, domestic and international traffic, using a variety of in-player and near-player video advertising formats. Adblade provides unique advertising and monetization services, for both advertisers and publishers. Adblade is a publisher’s first choice for monetization solutions. Adblade technology provides strong sales controls, robust reporting and drives revenue. Adblade network integrates with any design to offer your audience a high quality user experience. Start earning industry leading CPMs. The leading mobile video advertising platform trusted by top grossing mobile app developers and Fortune 500 brands. You can create from stunning Instant-Play™ HD video with dynamic end cards to engaging rich media units for your app or video game. Increase B2B revenue and brand visibility with AdDaptive’s advertising automation software and IP targeting software. For premium publishers, Adequant offers free of charge access to demand sources (advertisers, DSPs, agencies, and ad networks). You have the opportunity to sell omni-channel inventory (display, video, mobile web, mobile video, mobile in-app) using the same ad exchange. It minimizes integration time, resources, and loss of inventory through pass-back procedure. Simple and complete self-serve user and reporting interface. Whether you are a display network, video network or both, the AdForge Edge platform has you covered, including:Publisher and advertiser logins, True domain reporting – so you know where your tags are running, Integrated ad analytics by MOAT – so you can see what your demand partners see about your inventory – all built right in. Deal management. Adform platform lets you control the terms of the deal, so that you never have to worry about brand safety, channel conflict or selling inventory for less than you want. Sales controls, price floors, whitelists and blacklists enable you to control who has access to your inventory, which segments they can purchase, and protects your revenue stream. Hands on Support. Use the Adform Supply Side Platform to get the best prices possible for your desktop, mobile, in-app, and video inventory. With Adform you can integrate your inventory across multiple devices and formats making sure it gets the visibility it deserves, all through a seamless experience that leaves you in control while making your life more straight forward and efficient. Adform will bring a supply of targeted advertisers and agencies to you through the adform interface. Private Marketplace. As a fully integrated component of their full-stack solution, it offers additional levels of control and safety. Within the Private Marketplace you enjoy all of the benefits of the Adform Virtue suite; a collection of tools dedicated to preventing click fraud, improving your overall peace of mind, and halting all malicious behavior in its tracks. You can also create exclusive and first-look deals as well as the opportunity to monetise your audience data via seamless integration with its Data Management Platform. Through the Private Marketplace, you will also benefit from the ability to execute any given format, while embracing emerging market trends such as Guaranteed Viewability. The Adform Private Marketplace lets you get specific and reach a wide audience for great monetisation opportunities. Get the most out of your website with the help of AdMedia. You’ve already filled your site with interesting content, now it’s time to make money out of it. Admedia will display relevant and targeted ads on your site and you’ll earn revenue every time your visitors click on the ads. Admedia also makes sure that our advertisements will complement the natural look and feel of your website. You’re free to choose what kinds of ads you want and where they’ll appear. Do you want them to be discreet or in plain view? Do you want text ads or rich media? Whatever your preferences are, Admedia can help you. Some of the most popular ad types are: Native Ads, AdMobile, Intextual, Buzz Widget (*New), Contextual, Overlay Ads, Pop Under, Pop New Tab, Thank You Email, Thank You Offers, 404Bucks, DittoDomains, PreRoll, MidRoll, FooterRoll, VideoSense, ExitMonetization, Video Slider, DirectNavTraffic. Use in-app advertising to show ads from millions of Google advertisers and access programmatic demand, or use AdMob Mediation to earn from 40+ networks. AdMob’s native ads preserve user experience, and innovative video ads keep users engaged. Choose from many formats to suit your app. Get free, unlimited mobile app analytics with Google Analytics for Firebase. Scale with free house ads and tools to manage deals with advertisers. Rewarded video ads: you can create engaging ads experiences by offering your users in-app rewards (e.g. points, currency, avatars, levels). You can change user incentives without updating your code or use rewarded mediation to dynamically show the highest-yielding ad every time. Native ads. Simply pick a template, customize to match your app, and implement the code. Make style changes on the fly without re-publishing. (Own by Google) the emost simple way of display monetisation. might not be the best to optimise yield but the easiest to implement. Publisher Dashboard, Learning Tools, opportunities to grow your traffic and expert support and guidance. Publisher suite: The AppNexus Publisher Suite gives publishers an open alternative to monetize their content and build their digital businesses. Never before has there been an end to end solution that enables cost and operational efficiency with high transparency. The AppNexus Publisher Suite is a one-stop platform that powers planning and forecasting, direct campaign management, diverse marketplace sales, audience extension, and ad serving – all in one seamless technology suite. And unlike its primary full stack competitor, AppNexus doesn’t own or operate any media properties, meaning it has no incentive to favor its own competing businesses over those of its customers. Publisher SSP: Whether you’re a publisher or a mobile developer, you can use our SSP to build your business at whatever scale you require. You can manage and allocate inventory across demand partners and set up direct campaigns and orders. You can also apply audience data to extend the audience reach of your campaigns. Publisher Ad Server. The AppNexus Publisher Adserver, a single digital ad delivery platform, empowers publishers to realize the value of their ad inventory by managing and optimizing it across all demand channels and screens through one unified and independent platform. Video advertising platform for publishers. They offer only video ads, not traditional display ads. Beachfront.io platform handles all of the video advertising delivery, yield management, and real-time reporting, saving Publisher time and money. Brightcom is a Publisher Side Platform – Their ‘compass’ proprietary technology and teams of trusted advisers across the globe turn us into an entry point for all the best the programmatic world has to offer. Their focus on the needs of both publishers and advertisers offering them premium traffic, quality assurance and exclusive media opportunities. Real time header bidding solution for publishers. Offers guaranteed filled. bRealTime provides publishers with a global, preferred programmatic marketplace where they can achieve the highest yield with 100% visibility into the advertisers filling their inventory. Partnered with some of the top media buyers in the industry to deliver monetisation across display, mobile and video. Integrated with all major DSP’s. Centro Brand Exchange works with all major DSPs and trading desks, enabling greater access to digital ad spend. This creates a competitive bidding environment, ultimately driving greater revenue for your inventory. Private deal capabilities. Increase demand, create higher fill rates and improve CPMs without doing any of the heavy lifting yourself. We can create and facilitate the private deals on your behalf to increase the value of your inventory. Insights and Analytics. As a publisher partner, you’ll have access to an interface with robust reporting insights across advertisers and inventory. These insights help empower smarter business decisions and drive your digital revenue growth. Monetisation platform for mobile games. Maximise revenue and capture new players with video and interstitial ads through the ad network, cross promotion or direct deals. Take advantage of Criteo standalone integration method, or utilise your existing header bidding wrappers through Prebid or Index. Connect directly to Criteo programmatic platform, delivering lightning-quick responses to more than 120 billion requests per day. (Owned by Google) Free ad server but no support. You will be swimming on an open sea, no-one really telling you how to do it. Best to implement it via a Partner who offers implementation specialists, traffickers or a Yield Management team. District M offers Header Integration, also referred to as header bidding or header tags, is an advanced programmatic technique that allows web publishers to offer ad inventory to multiple SSP/ad exchanges simultaneously before making the ad call to their server. Why should publishers use it? Set it and forget it: No management resources required. Easy Implementation. Requires less than 30 minutes per site. Be live within 24-48hrs from agreement. Can be removed just as easily. High Exposure and yield. Pure incremental revenue. Multiple exchanges through a single source. Access to District M’s unique yield algorithm, BidM. No latency. Tag is 100% asynchronous = Loads and submits winning bid independently of page content load. You’re in control, adjust timeout rate to your liking. Minimal Resources. No average CPM to update on line items. No passback/default tags to manage. No more fill rate or ad serving fee concerns. Using monetisation focused methodology, Engage:BDR combines several types of competing, premium demand to ensure you get the best revenue from your inventory. Founded in 2009, engage:BDR is a cross-device advertising solution company, consistently recognised for powering outstanding, integrated Display and Video ad experiences. Some of the world’s top advertisers and comScore top 1000 publishers depend on its innovative advertising and managed service solutions to drive towards individualized KPIs. Through in-house innovation and industry-wide contributions and collaboration.engage:BDR has been ranked #1 in the display ecosystem by comScore and #1 US network by Quantcast. IAB standards certified for click measurement, web impression measurement, rich media, digital video commercials, and mobile web ad measurement, as well as certified to the industry standard, released by 3ms, for Viewable Impressions. Featured by Fast Company, Ad Week, AdExchanger, NBC, Wired. SSP that connects to multiple exchanges and DSP’s. Higher profitability and efficiency on real time auctions. Multiple demand sources in order to allow the best offer. Multi-platform technology: Ads in the exact place where the user is browsing: Web, Mobile, Video. Transparency in advertising sales. Appealing ads for YOUR audience. Ez mob offer great ads for mobile apps. Add an additional and more effective monetization layer on top of existing banner ads and earn more on your existing inventory. Integrate in under a minute, simply copy paste the ad code to your homepage and that’s it, you’re just started earning. Choose your vertical and receive top-line demand partners worldwide. Ez Mob technology will match and retarget users across our network and partner SSPs to provide you with the best value ads for your users. Banners eat a chunk of real estate from your mobile website or app, they offer little real estate for a clear message. Beautiful apps become ugly because of mobile ads. This is why we re-invented mobile ads keeping in mind that ads shouldn’t take real estate on mobile, ads must be clearly noticed and have a strong call-to-action. A simple comparison between the click-through rate on any standard banner (0-5%-1%) and EZmob’s ad units (10%-15%) proves monetization with EZmob is much more effective. Feature Forward is a SSP platform for publishers. Feature Forward is the leader in Programmatic Advertising. Founded in 2008, Feature Forward has been providing clients with algorithmic solutions, allowing them access to the RTB ecosystem in a safe, transparent and efficient manner. Their proprietary stack of high scale technology and our scientific approach are the key to delivering quality ads in a safe and automated environment. With offices in Tel Aviv and New York, and a brilliant team of ex-members of the Israeli Air Force’s elite programming unit; Feature Forward is a front row leader in innovative marketing technologies. Based in NYC, Gamut is a digital media services company owned by Cox Media Group. Gamut is an advertising platform dedicated to connecting brands with the consumers eager to hear their messages. Spanning multiple platforms, we give advertisers the power to reach their audience wherever they may be. Gamut possesses an in-depth knowledge of the digital space, allowing for competent campaign execution. As a subsidiary of Cox Media Group, Gamut collaborates with sister companies, CoxReps and Videa, to provide a comprehensive method for advertisers to reach their target audiences. Getintent delivers AI-driven adtech solutions for programmatic buying. Get unmatched flexibility, total control & transparency with Getintent Smarter Bidder. Getintent gives publishers the power of Header Bidding with minimal integration hassle. Getintent bidder connects the programmatic demand platform to the supply so that you can set filters for exchanges and avoid SSP fees. Getintent leverages proprietary, advanced algorithms that work hard for higher ad quality ratings. This ensures higher yields for publishers and more valuable impressions for publishers’ advertisers. You will not need to fight against clickbait and extreme content, as their AI is ready to check these for you. This platform comes with detailed performance metrics: viewability, fill rate, and other key stats to adjust your buying or selling strategy. Monetisation platform for mobile app publishers. Set your monetisation to autopilot with their transparent mediation tools and effective mobile ads. A mediation platform powered by Fyber FairBid – the world’s first and only mechanism that enables a true state of header bidding for the mobile app environment. Fyber FairBid levels the playing field between different types of buyers by eliminating the “waterfall” that is the foundation of traditional mediation solutions. Fyber’s proprietary FairBid technology empowers mobile app publishers to unlock the true value of their assets by enabling different types of buyers to compete in real-time, in a single flat, fair, and transparent auction. Flattening the waterfall. Fyber FairBid improves yield by uniting RTB buyers, SDK networks and direct advertisers in a header-bidding-like real-time auction in which the impression is awarded to the highest bidder. By flattening the waterfall, FairBid gives all demand partners a fair chance to win the impression, eliminating latency and missed revenue opportunities. Data driven audience segmentation. Our unique Audience Vault provides publishers with data insights and segmentations tools not available anywhere else in the market, allowing publishers to improve pricing, create audience packages, and tailor user experience to best suit their environment with 1st party data, Fyber’s platform engagement data, and 3rd party DMP data. Dynamic Druid based reporting. Our cutting-edge reporting technology provides publishers with the flexibility to slice and dice your data based on the parameters you care about most, and provides full transparency into buyer performance, revenue, ad unit performance, engagement data. Brand video in-app. their video solutions, including VPAID support for in-app and viewability measurement partnerships, are paving the road to unlocking more brand advertising dollars for the in-app environment. In the world of online advertising, every second counts. HIRO’s technology makes it easy and effective to serve up the right ad, at the right moment, to the right viewer, for rich results. Their programmatic distribution and monetisation facilitates uses prediction-based real-time bidding (RTB), this translates into practically unlimited scale. Combined with latency-based optimization, quick loading-time for video-players, a unique cloud-based architecture, and their real-time big data optimization, HIRO’s technology is an option if you want to maximise ad opportunities. Index Exchange is a global advertising marketplace where premium digital media companies sell their ad impressions transparently and in real time. Built on the pillars of neutrality, openness, an a reliable technology. Focusing on the needs of publishers, they’ve created a singularly focused, neutral, transparent ad exchange that puts publishers fully in control of their page and pricing. With white glove service from implementation to optimisation. Offices in NEW YORK, TORONTO, SAN FRANCISCO, MONTRÉAL, LONDON, CHICAGO, PARIS, SYDNEY, DÜSSELDORF. Video and native monetisation platform for publishers. Simple JS tag on your page or within your ad server stack. Support of multi formats, sizes and screens. Full reporting transparency on ad performance, ad requests, ad impressions, CPM, fill rates, etc. The Yahoo! Bing Network gives you instantaneous access to one of the world’s largest marketplaces for keyword-targeted advertisers. No matter how broad or niche your website is – we have advertisers appropriate for your content. MediaVine helps publishers and content creators build sustainable businesses. MediaVine are publishers too. Every ad solution you see in place on MediaVine has been tried and tested on their own sites first. Big or small Publisher is welcome. Whether you get 25 million sessions a month or 25 thousand, you’re welcome to work with MediaVine. (Header wrapper: MonetizeMore Demand) uses DFP and Google Ad exchange. Revenue share offering and free DFP implementation. Drive More Mobile Ad Revenue. MoPub is a hosted ad serving solution built specifically for mobile publishers. Grow your mobile advertising business with powerful ad management, optimization and reporting capabilities, and earn revenue by connecting to the world’s largest mobile ad exchange. (Owned by AOL – Formerly called: Adtech AG) They have their own exchange publishers can use. Ad server is supposed to be free and they charge 10% of the sales made via their own exchange. They work with Publishers who have at least 50 million page views a month. Smaller ones might want to consider Sovrn or Criteo. Strong in the Latin American market. Offers full service. DFP implementation and takes revenue share 25% of total sales. They can also help you find direct deals, in this case they take 40% commission for direct deals. (Owned by Microsoft) Monetise your apps with Pubcenter. PubMatic provides omni-channel revenue automation technology for publishers and programmatic tools for media buyers. Contact pubmatic to learn how a publisher-focused SSP can work for your online media business. Pubmatic Wrappers collects various services like multiple bid requests, analytics, tracking, and viewability prior to passing them to an ad server. The Pubmatic wrapper make it easier for publishers to manage and alter tags. Without a wrapper, ads ops teams have to manually replace header tags on a page to implement changes. It would be easy to dismiss wrappers as just simple container tags, however, there is much more to consider when deciding on which wrapper technology is right for you. PulsePoint is a global programmatic advertising technology company redefining digital advertising. PulsePoint is the leading global authority in programmatic technology, content marketing and health activation. Custom programatic modelling. Every publisher’s inventory is different. Their programmatic needs are too. PulsePoint gives you the power to build a programmatic model fit to your business needs so you can focus on strategy and optimise revenue. Tag based: a simple and straightforward way to monetise inventory. Drop a tag in your ad server and start earning. Header bidding: Allows for multiple programmatic demand partners to access inventory and increase bid competition – works with your ad server and allows all inventory and partners to compete on equal footing. API. Maximise inventory yield by requesting bids simultaneously from your partners. An API integration gives you the most control but works in parallel with your ad server – requires specific customisation. Two auction methods. Open auction: programmatically sell inventory to all buyers in the PulsePoint marketplace via real-time auctions. Private marketplace: offer customisable, invitation-only marketplaces where your inventory and audience is available to select buyers – via fixed price deals or private auctions. Unified analytics. Access real-time reporting with data as rich as your content. Our advanced Publisher Selling Desk offers publishers the tools and metrics to take full control of inventory performance, all accessible in an easy-to-use interface. Understand which inventory is drawing the most attention and its value in the marketplace with analytics to help you learn, adapt, and make decisions. Different ad types: Display, high impact, native, in-app, video, mobile web. Contextualisation. Your content and the audience it attracts are extremely valuable to buyers. Make sure they know it. Their proprietary contextualiser helps you uncover the true context of every page so buyers can see the real value of your content, giving you the opportunity to monetise impressions buyers may have overlooked. For advertisers, PulsePoint offers massive scale, precise targeting and formats to increase engagement. Maximise value from your programmatic ad spend. Based in Buenos Aires, Argentina; Redmas offers the possibility to boost its advertising revenue running ads from Google’s DoubleClick Ad Exchange (AdX), the premium version of AdSense. AdX is an excellent alternative way of generating more and better profit: Using AdX you will have access to all the AdSense advertisers and an additional pool of big brand advertisers (that do not advertise through AdSense) that pay better for showing their ads and we also have direct advertisers in AdX. The system will always show the best performing ad – each ad is sold in auction to thousands of CPM ad networks including AdSense – so you will get the best price for every ad space set up via the Exchange (RTB). Other benefits are that it’s completely free, it doesn’t affect your current AdSense account and from what you generate you will take 80% of the profits. RhythmOne provides a brand-safe programmatic marketplace for digital media advertising at scale, across all screens. We connect audiences with brands through content across devices. RhythmOne provides streamlined, transparent connections between advertisers and audiences through a combination of differentiated supply, innovative technology and data-driven insights. 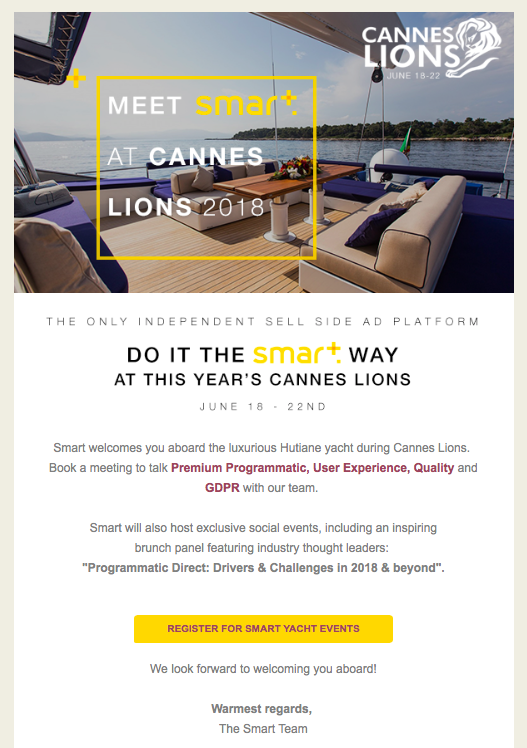 The platform provides more direct, efficient and effective connections, driving ROI for advertisers and publishers. With Rocket Fuel’s Programmatic Marketing Platform, publishers can create scalable programs based on proven results. Rocket Fuel is one of the only companies that offers ad sellers, including publishers and networks, an integrated platform and full suite of programmatic services that increase sales and customer satisfaction. Rocket Fuel offers both managed service and self service platform engagements. Roxot unifies products that allow publishers to collect, process, and act on the most valuable data for both programmatic and direct setups. Sell inventory on a per-impression basis. Get full control of your programmatic demand across all devices and formats. Higher yield for impressions. Increase yield using the power of RTB at scale like never before. Generate competition at every priority level. Invite multiple demand sources to bid on your inventory before making a call to your ad server. Maximum impact from real time bidding. Eliminate the need for passbacks that create discrepancies. Allocate exact and intelligent inventory. Give your buyers access to valuable audiences and impressions at all levels of the ad stack. Unique Private Marketplace Agreements. Supercharge PMP deals with our world class Orders marketplace. This solution enables businesses to understand individuals and deliver experiences tuned to their needs and preferences. Data signals are drawn from all screens and sources and used to improve experiences across all consumer touchpoints. Salesforce DMP learns iteratively, continuously responding to new data signals and data sources, to enable smarter interactions, deeper engagement, and improved revenue performance. The Salesforce DMP platform captures people data from multiple screens and sources, unifies the data to identify and understand individual preferences and expectations, and activates the data across every channel in ‘right time’ and ‘real time’. This allows Salesforce DMP to help companies create and reinforce consumer relationships through a virtuous cycle of valuable interactions and experiences. Mobile-first platform and free ad server for publishers, app developers, agencies, DSPs and ad networks. Monetize your app or get targeted mobile traffic. (includes Rich Media Ads SSP ie: outstream video) : full stack: SSP + Ad server. Start at $600/month ad server fee plus 20% take on sales when using their SSP. Strong in the Latin American market. Single Integration. JetStream combines a single integration across all media platforms and properties, with tools to help how you sell advertising against your most value asset — your audience. Get back to what matters, building relationships and creating ad products that deliver real value to advertisers and buyers—by delivering engaging experiences to your most important asset: your audiences. Holistic Monetisation. Monetize your audience and inventory across indirect and direct buyers through a client-based adapter protocol and a server-to-server-based cloud protocol. Tools to help publishers compete.From header bidding to VPAID and VAST video, OnScroll InView ads and cross-platform content distribution. More demand for the audience you’ve built. Integrated with major advertising buyers. Compare your site in real time. Their dashboard shows if your site earns, performs, and delivers more than similar categories and publishers. Analyse your advertising partners. Unified reporting in Meridian so you can gauge all your advertising partners’ performance. Understand your audience. See your audience through a buyers’ eyes with insights from Quantcast, global traffic data, and viewability from partners like IAS. Find the right partner for outstream solutions. Do not sacrifice user experience for monetisation. Make sure the out-stream ads ad value to the context of the page. Test – give it a run for a couple of weeks and see what CPMs you get. You get a lot of more direct deals for out-stream video cause there is scarcity for this type of ad. Simple implementation: just grab a tag code and place it in your website. Yield Management. By aggregating and competing all demand sources, across sales channels and devices, in a unified ad decisioning environment, the tool maximises yield, streamline workflow, enhance delivery and return the maximum revenue for every impression. Top publishers use this SSP platform to connect to all of their video demand sources – ad networks, DSPs, trading desks and exchanges – creating a single place where buyers compete for your inventory so you achieve the highest revenue possible. Cross-screen. You can monetise video inventory across any device using a single tag and a single platform. Programmatic. Automate your trading of media and streamline workflow. Video Ad server. A real-time video ad server engineered for optimisation. Direct Connect. Tagless transactions with other SpringServe partners. Actionable Analytics. Automatic integration with the industry’s top third-party verification platforms. Header bidding. All demand sources get an equal shot at every impression, increasing competition and revenue without cannibalising direct sales. Innovative Ads. Uniquely designed animated and interactive ads ensure even greater user engagement. Smart Targeting. Our data-enhanced targeting allows us to show the ads your users will click in the right place at the right time. Native ad units. Design team can create tailored native ads that fit seamlessly into your apps. Independent, transparent SSP platform: open, non-opaque technology solutions helping drive monetisation through curated and transparent programmatic marketplaces. Quality Content: Their video products provide highly engaging, relevant short-form video content for desktop and mobile screens coupled with monetisation. They can deliver custom styling and quality content tailored to your needs that fit the design of your site and amplifies your own editorial content. Innovation-Driven: interactive formats worth checking out. Stability: With two decades of experience helping advertisers and publishers use technology to fuel more meaningful consumer connections, Synacor can serve your needs in a manner that only a stable, independent, publicly traded company can do. Tapjoy is a monetisation platform for mobile app developers and mobile app owners. Mobile App Developers leverage Tapjoy technology and expertise to acquire high-value users and generate more revenue. Tapjoy’s Interplay Videos have been designed and optimized to get the most out of your mobile revenue. These high-performing profit boosters can be easily accessed directly from Tapjoy or via ad exchanges such as: Fyber, HeyZap, Aerserv, iroSsource, Mopub, adincube, tapdaq, admob, appodeal. Empower your editorial team with complete visibility and control over the content recommended on your site. (Outstream Video SSP) Teads market themselves as the inventors of outstream video and the number 1 video advertising marketplace in the world. Publishers work with Teads to create brand new video inventory, monetizing it through programmatic buying, their own sales force, or third parties including Teads Managed Services. Teads’ native video advertising solutions encompass a series of formats inserted deep into media content, like the inRead playing inside articles. It is changing the game within the video advertising market by creating unprecedented levels of premium inventory, which did not exist before. Brands and agencies can access this top-tier, premium inventory, available on the web and on mobile, through programmatic or managed services. Through its managed services capabilities, the Teads team execute on their clients behalf using its platform. The Trade Desk has a track record of working with big advertiser brands, so it can bring publishers inventory demand from agencies and companies. They are also transparent and don’t own the media they sell. Getting started is simple. All it takes is one line of lightweight code and you’re ready to go. Scalable. Plug into native programmatic demand. TripleLift is integrated into the largest programmatic buying platforms in the world, so brands can access your native inventory with their programmatic buying. Work with top brands and enjoy full creative control to provide a seamless, uninterrupted browsing experience that matches the look and feel of your site. Underdog Media is driven by a team of Digital Media and technology experts. They leverage best in class technology and industry partnerships to create ad placements that drive engagement with analytics that inform and guide intelligent business decisions for our partners. Unified Ad Marketplace. Improve earnings with one simple server-to-server header bidding integration. Access unique demand from Amazon and SSPs. Amazon UAM doesn’t work with Prebid.js — an open-source header bidding solution that the likes of AppNexus and Rubicon Project have adopted. Publishers will need to set up a separate line item for UAM if they use it along with Prebid.js solutions. Key benefit is that Amazon has users’ email, credit card and shopping data that other SSPs don’t have, so it can tie every data point together and serve very targeted ads. UAM runs first-price auctions, offering publishers auction-level data, meaning that publishers are able to confirm that they are getting the highest available rate for their inventory. UnrulyX is a supply-side platform that allows publishers to unify and report on all outstream video demand in one place. Every impression available in UnrulyX is from our one-on-one publisher relationships and is vetted by Unruly Shield, our awesome suite of brand safety and anti-fraud systems. UnrulyX uses Unruly’s polite, viewability-initiated native In-Feed, In-Article, and Vertical Video formats across desktop and mobile on premium publisher sites, all of which can be viewed on the UnrulyX PartnerPortal. Accessible via all major DSPs and via open marketplace or private marketplaces. Self serve SSP. Maximise your revenue with our algorithmic programmatic platform. With Vertoz you can make the most of every impression and maximize your revenue potential. Get access to our RTB enabled platform, connect to multiple DSPs, ad exchanges and networks through us to get best eCPMs and highest fill rates. Onboard all your inventory across multiple form factors and platforms to create your own dashboards with the help of our easy to use RESTful API & JSON. Real time bidding. Maximize your revenue potential through dynamic auction across all demand sources. Premium demand mix. Get demand from all the major DSPs, ATDs, exchanges and networks through a single provider. High fill rates. Yield optimiser ensures highest fill at industry leading eCPMs. Reporting. Reports and analytics of traffic performance and earnings in real time. Innovative Ad Formats. Innovatively designed high impact ad formats that boost your audience experience. Sold inventory. Vungle partners with top advertisers to ensure you near-100% global fill rates. Higher Monetisation. Earn more for your inventory by selling to the highest bidders worldwide. Simplified Ad Sales Operations. Manage sales, ad operations, and finance from a single interface. Automate order push, pricing rules, proposal approvals, and reporting. Flexible Integrations. Integrate with Google DFP and major ad servers, CRM tools, accounting systems, data warehouses, and programmatic platforms. Optimised Yield. Their dashboard will help you uncover the most profitable ways to bundle inventory. Cross-Media Campaign Management. Manage print and digital together in the same system. Streamlined Billing. Simplify billing and reconciliation with invoices generated and delivered directly from the system. Centralise Key Business Information. The tool provides company-wide access to product catalog, inventory avails, approvals, sales and delivery data, and rate cards. Performance and Revenue Reporting. Generate revenue forecasts and reports on product and package performance. Customisable Dashboards. Access key performance indicators with built-in and fully customizable dashboards. Yahoo App Publishing provides a flexible ad-serving platform that is easy to set up and use, enabling you to maximise your ad revenue and engage actively with your users. As a Publisher, you can drive revenue by creating banners, interstitials, native and video ads for your app. Yieldbird specialises in advertising management and ad inventory optimisation. They help publishers using advanced programmatic strategies and technologies, dedicated solutions for supporting direct sales teams with consulting, reporting and best practices. Yieldbird software engineers create custom IT solutions for media and advertising companies. Yieldbird offer their services in more than 30 countries in Asia, Europe and Latin America. Nearly 95% of publishers stay with them after a 30­-day test, bringing a real profit in programmatic to the publishers and reaching the right audience for ad inventory buyers. Their main owner is Agora – one of the largest and most renowned media companies in Central and Eastern Europe. 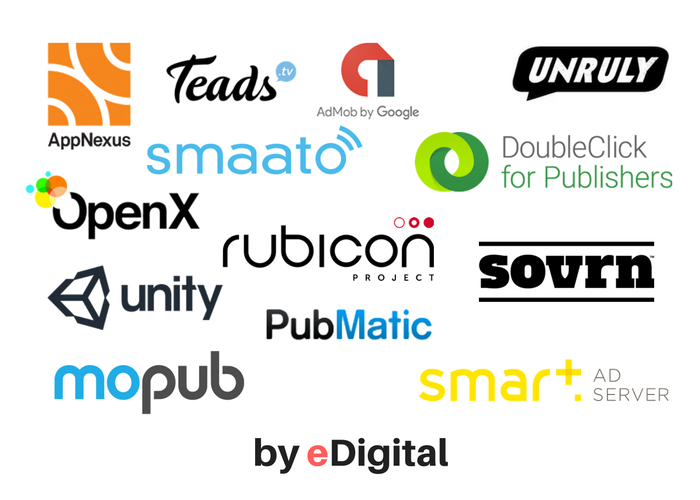 As an only company from Central and Eastern Europe Yieldbird is the Google Certified Publishing Partner. Yieldbird disposes of an own software studio and an in-house digital solution lab. This is what stands behind Yieldbird’s highly advanced big data analytics methods and self-learning algorithms that we sue in programmatic ad optimisation and management. (Open source Header wrapper: Pubfood) They welcome mainly websites in health, recipe/couponing, financial services and food/recipe. They also try to stick to a 5MM PV a month minimum, US PVs only per site. WHERE ARE SSP’s LOCATED WITHIN THE DISPLAY ADVERTISING ECOSYSTEM? When choosing an SSP, we recommend choosing one that offers Header bidding technology so you can get paid higher per CPM. Benefits of a Header bidding SSP compared with a Waterfall bidding SSP. What’s Daisy Chaining bidding (Waterfall bidding)? It’s a relatively simple concept: Different demand was being placed in different buckets, and some buckets were given priority over others. Technology such as sovrn’s aims to pour the content of all individual buckets into one large bucket. Daisy chaining can be inefficient because it does not give a publisher full transparency into the fair market value of the publisher’s inventory, this means publishers often lose revenue by unknowingly offering and then selling a specific ad impression to one advertiser, when another partner lower in the chain would have paid more. Understanding volatility of CPM demand. CPMs climb well before Thanksgiving. Starting Nov. 12, Amnet (a DSP platform) sees a 10% to 25% increase in average CPMs, and a 50% spike above average on Black Friday and Cyber Monday. “The irony is the largest budgets are at the time when it’s most expensive to buy. Because more consumers are in a shopping mindset the last couple of months of the year, campaigns still perform better”said Amnet platforms head Chris Romano. On AppNexus’ exchange, people are three times more likely to convert during the fourth quarter, with the average conversion rate going from .1% in Q1 to .3% in Q4. making CPM’s prices higher. Among other holidays, the Fourth of July and Memorial Day both also bring big traffic dips. According to AppNexus, traffic in the US dipped 25% compared to non-US traffic on July 4. For these warm holidays, consumers aren’t just away from the Internet. They’re not shopping, either. There are holidays like a July 4 or Memorial Day, where the performance is not there unless you have a promotion at that time. For something like a March Madness package, DSP’s negotiate these packages well in advance and offer them to clients. Competition becomes fierce to reach the right consumers on Black Friday or Cyber Monday because the sales cycle is very short. That’s when top brands are willing to pay top CPMs for securing those users. Daily rhythms factor into how advertisers reach consumers. Traffic dip when people sleep and rising as they wake. Many advertisers like to reach users as they’re logging on first thing in the morning, when traffic volume is rising. The assumption is that advertisers are trying to grab users’ attention first thing, to get that first impression of the day,” CPMs peak at 60% to 80% above the early morning hours (2 a.m to 5 p.m.). That spend tapers off until the evening, when there’s a second peak of people going on the Internet from home, from 7 p.m. to 11 p.m. Weekends see lower traffic, and a higher percentage of mobile traffic, than weekdays. Some advertisers avoid the weekends because they don’t see as many conversions. Weekends are never great performers for hotels, because people are in the hotels on the weekend. Stephanie Layser, New York USA. Not sure what SSP to implement or need a freelance trafficker to manage and optimise your ad server or SSP? Contact our eDigital team today! Display Advertising Trends 2018 Report by Marketing Land.